Thank you to everyone who entered my competition, I received many more entries and new subscribers than I expected, so to say thanks, I will be throwing in a runner up prize! So the results…I used the site http://www.random.org to make the draw completely fair, by inputting all the comments and email entries in the order I received them. The winner of the Redken Anti-Snap treatment is : Annabelle Hastings, a bloglovin follower who emailed me with her holy grail hair product of tresemme dry shampoo. Well done Annabelle, I hope you absolutely love this product. The runner up prize is a travel-size bottle of Phyto’s Day cream for hair, another of my favourite luxury hair products. http://www.feelunique.com/p/Phyto-7-Moisturiser-50ml for more info on the product. The runner up prize goes to Tams, from beauty blog http://nakedbeautyblog.wordpress.com/, who commented with her holy grail product of guy kremer protection serum. Congratulations Annabelle and Tams, please email me your address at aliolive2@gmail.com so I can get your goodies shipped out! Thanks again to everyone who entered. I will be doing another luxury haircare giveaway soon so watch out for that! Posted in competition, competition, Hair care and tagged Beauty, competition, hair, Hair care, hair growth, haircare, redken. Bookmark the permalink. To celebrate my blogs six month birthday, I’m giving all my lovely readers a chance to win a full size bottle of my ‘holy grail’ hair product, Redken Anti-Snap worth £15. I could rave about this product forever, it is definitely what saved my damaged hair and I would love one of you to experience the same results I did! To be in with a chance of winning, all you need to do is comment on this post, or email me at aliolive2@gmail.com if you are not a wordpress user, telling me your holy grail hair product and why you love it, simple! The competition is open for a week until 17/6/13, when a winner will be chosen at random. Feel free to credit your blog with your comment. Must be a subscriber, either via wordpress, email, bloglovin or she said beauty. Open to entries from the U.K, Europe, Canada and USA. Posted in competition, competition, Hair care, Hair Growth and tagged Beauty, competition, hair, haircare, redken, tretament. Bookmark the permalink. 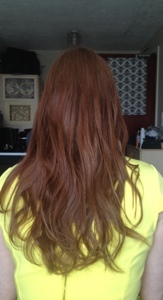 I used to love my GHD’s, I used them religiously and my favourite style to create was beachy waves. However when I converted over to a heat-free life I had to come up with alternatives! Here’s a really simple way to get your hair from poker straight to soft curls overnight with just some bobby pins and one product. Apply mousse to freshly washed hair, any brand is fine I never find a difference between high-end and drugstore when it comes to mousse. 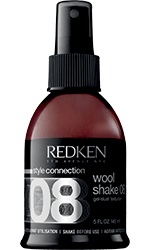 Apply a volumizing spray or lotion, I use the redken thickening lotion. Blow dry fully. When completely dry spray lightly with redken wool shake, don’t scrunch yet. This is to give hair texture and hold overnight. 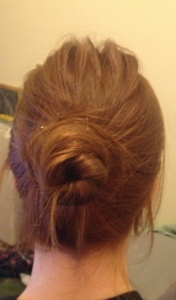 Bobby pin your hair into a bun, if you twist the hair and wrap tightly you will get more uniformed curls. I like mine to look just wavy so I do it fairly loosely and messy so it looks natural. If you have a lot of hair you can do 2 buns to get more shape. When hair is secure spray with hairspray to set. In the morning take out your pins and run fingers through hair to remove any knots. For a smooth romantic wave just brush through and leave. But for a more beachy ‘just got out of bed’ look, use a liberal amount of redken wool shake and scrunch your hair like its the 90’s! This style will last 2-3 days, and you can tie it up again each night if you feel the waves are falling. This is my latest holy grail hair product, and I feel a great sense of relief knowing I don’t have to waste my time and money trying to find a perfect sea salt spray, or texturising product anymore. I must admit I was a little daunted by the name ‘Wool Shake’, who wants wool in their hair?? Also the bottle says its a ‘gel slush texturizer’ eww! But I did my research and lots of reviews from people with hair similar to mine persuaded me to give it a go. I find it gives my normally flat boring hair amazing texture that no salt spray has ever come close to, it also holds that style all day without feeling sticky, hard or heavy. It also brushes out nicely if you have applied a bit too much. Let me know of any other heatless styles you like! Posted in Hair care, Hair styling and tagged Beauty, hair, haircare, hairstyling, redken, review, waves, woolshake. Bookmark the permalink. How I get volume in my fine hair. As you can see above there is quite a dramatic difference in the volume and thickness of my hair. Both times I had used my Redken Anti-snap, Organix argan oil and some boots own-brand mousse. 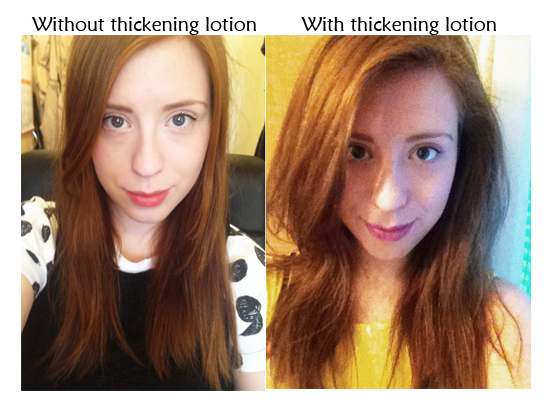 However in the right picture, I used the thickening lotion. I blow dried my hair in exactly the same way both times, by blowdrying to the left for 80% of the time and then flipping over to the right at the end for more volume. I noticed a huge amount more root lift, and my hair felt thicker all over, even at the tips! I went and did a night shift straight after this and by the time I got home at 6am my hair was still massive, I was very impressed! The important thing with this product is to use the exact right amount for your hair type, length and thickness. The first time I used it my roots were a bit crispy because I had gone a little over board. Now I find one pump enough for my whole head and I run it down the length as well as the roots as it gives really lovely texture and hold. It can take a bit of trial and error to get it right, but I think this is an amazing product for faking lots of hair without extensions! I bought mine on a whim at the salon, but you can buy it a little cheaper at http://www.lookfantastic.com/redken-thickening-lotion-06-body-builder-50ml/10451517.html they also do lots of redken promo’s so you can get it even cheaper if you keep your eyes peeled for one. Let me know if you have any other recommendations on volumising products! 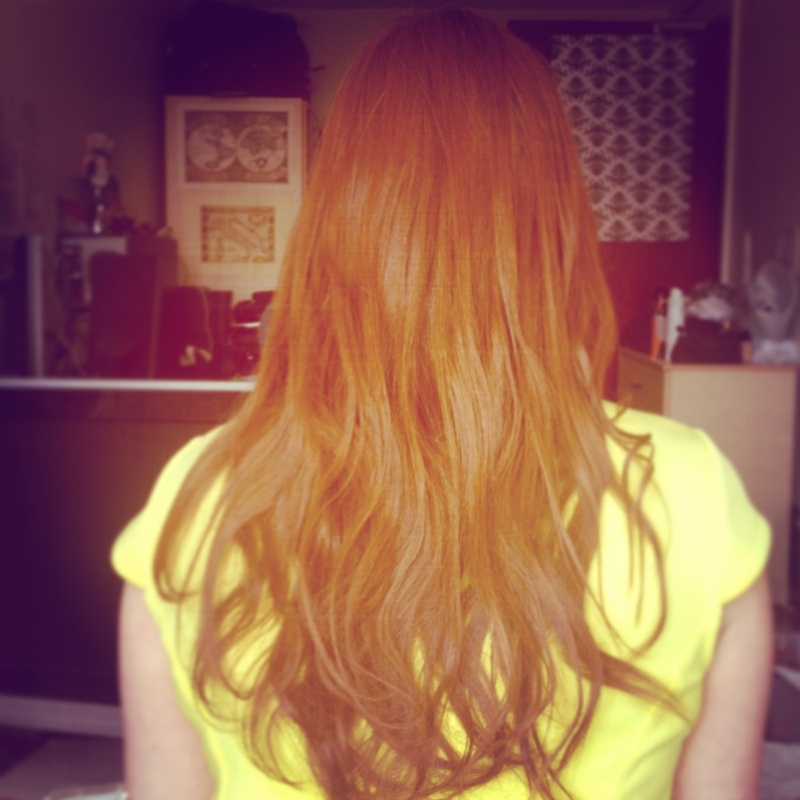 I’ve also just put this blog onto bloglovin as wordpress blogs can be annoying to follow, so if your interested in hair care and hair growth follow my blog here http://www.bloglovin.com/blog/4924441 I’ll also put a button in the sidebar! 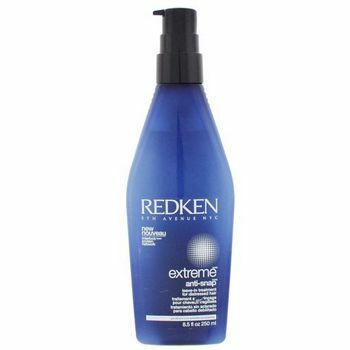 Posted in Hair care, Hair Growth, Hair styling and tagged Beauty, hair, haircare, hairgrowth, lotion, redken, review, styling, thick hair, volumizing. Bookmark the permalink.